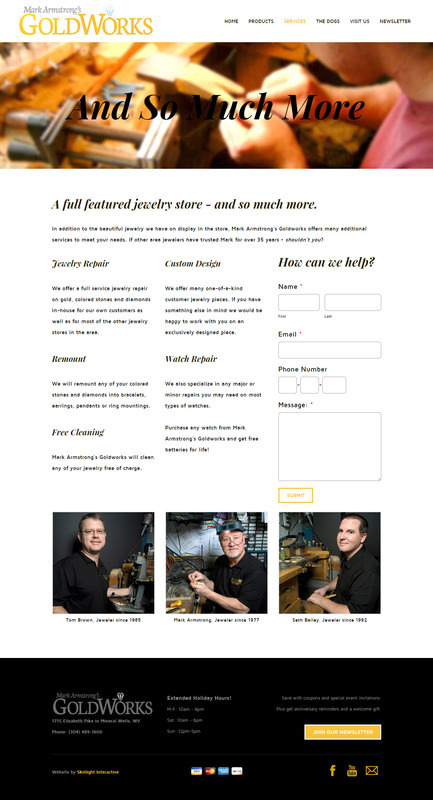 Goldworks is a family-owned jewelry store in West Virginia. Mark has been serving the community for years but hadn’t had much success online – until Skiilight was asked to help. 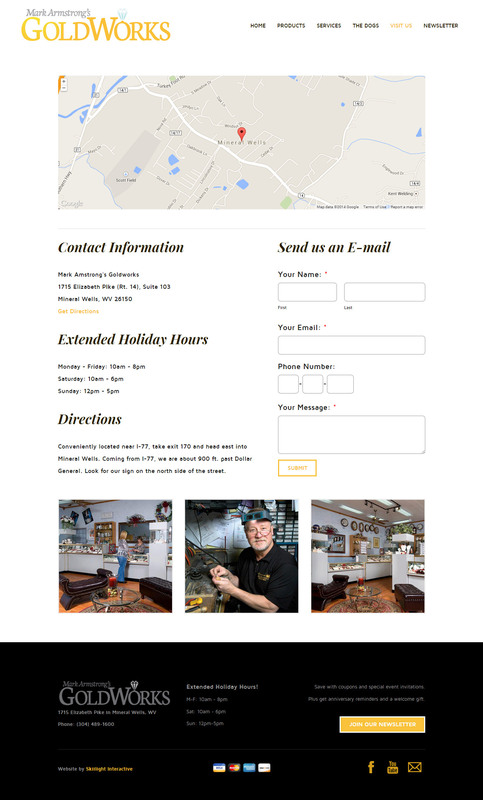 Goldworks’ online presence was changed from a long URL to a shorter, more marketable goldworkswv.com. After that, we created Goldworks’ Facebook page and YouTube Channel. Skiilight administers both social accounts and creates advertisements and boosts posts when needed. 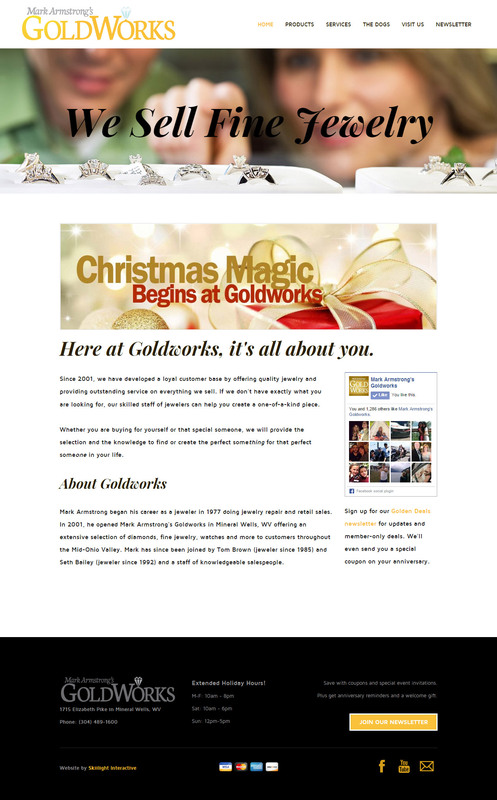 Goldworks regularly pushes email marketing, also administered by Skiilight, to contact hundreds of subscribers with deals, coupons and anniversary reminders. 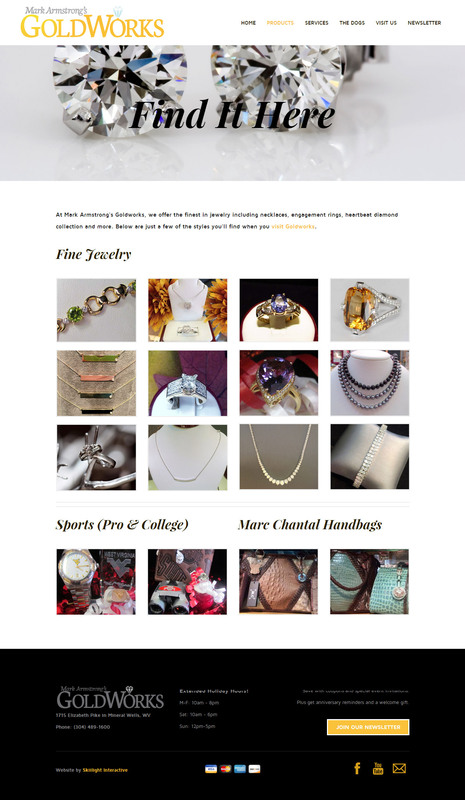 Who knew a small town jewelry store could have so many raving fans?